JHD Disc Dehullers – JK Machinery s.r.o. Material for the peeling process must be very thoroughly cleaned, especially it has to be free of stones and metal particles that can damage hulling disc and the seeds must be sorted by size (calibrated). Disc dehuller peeling seeds between static disc and rotating disc. Rotating disc is located in rolling bearings with high load bearing capacity. Static disk is vertically sliding. Approaching or moving away from the rotating disk, size of the peeling gap, i.e. gap between the two discs, changes. Rotor and stator surface varies depending on type of peeled material.Optimal setting of peeling gap between rotor and stator is based on grain size of material. Material has to be dosing into disk dehuller equally. Permanent magnet needs to be set before this machine. 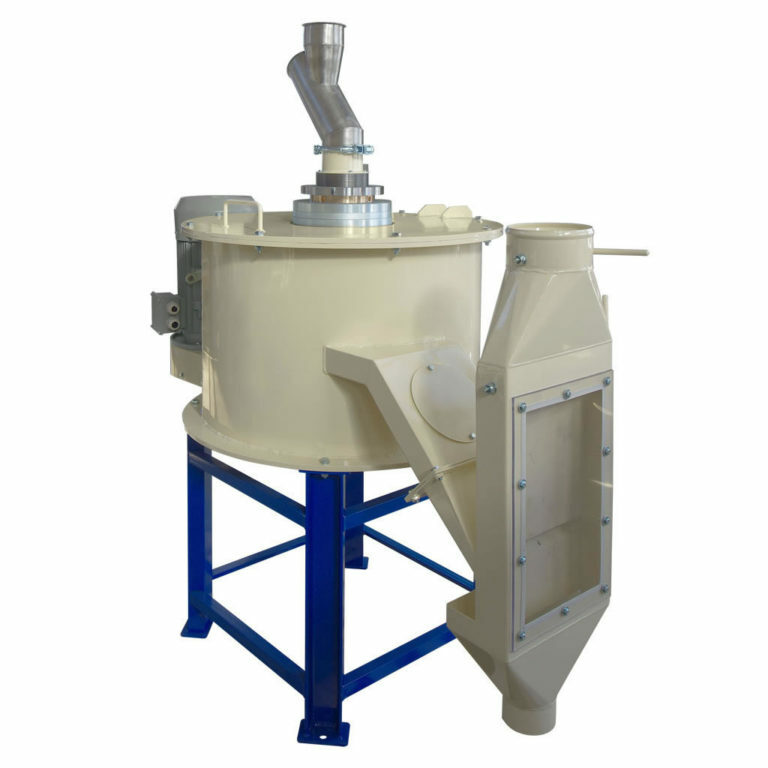 To get the highest product quality and minimal damage of dehulled kernel, it is recommended to use calibrating sorter before peeling machine and aspiration channel at the end to remove husks, respectively another technology for sorting and cleaning dehulled material.